This book is presents an ideal of the duty of the Sikh Panth during the eighteenth / nineteenth centuries. The importance of these classic text lies in the fact that it is of Sanatan origin part of a tradition which has been over time over shadowed by the dominant Tat Khalsa version of the Rahit. McLeod translation of Randhir Singh's text of the Prem Sumarag in thus a major contribution to Sikh Studies. Notwithstanding debates about its ate this Sanatan text presents a radical alternative to the Tat Khalsa interpretation of Sikh history. 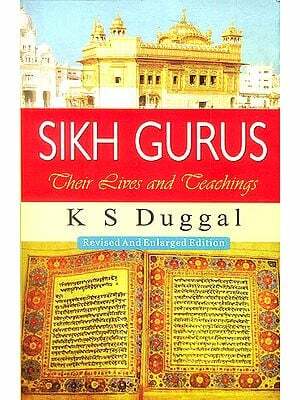 This book provides an extended account of the Sikh way of life. It outlines Sikh way of life. It outlines Sikh ceremonies and ideals and what was conceived to be noble practice by its anonymous authors. The leisurely and detailed style of this document differs dramatically from the usually pithy style of the other rahit-namas and this Sanatan text is in its description perhaps a closer reflection of the society of the time. Along with a comprehensive introduction, this translation by one of the most eminent scholars of Sikh studies will be of keen interest to students and scholars of Sikh studies, comparative religion, cultural studies and sociology as well as the interested lay reader. He is Emertius Professor at the University of Otago and a Fellow of the Royal Society of New Zealand.